Each year it gets harder to find low mile, clean E36 M3s for sale and while this one does meet that criteria it has been "stanced out," something that could be reversed in a weekend with the right parts. Regardless, the low miles and uberclean condition are what make this one unique. 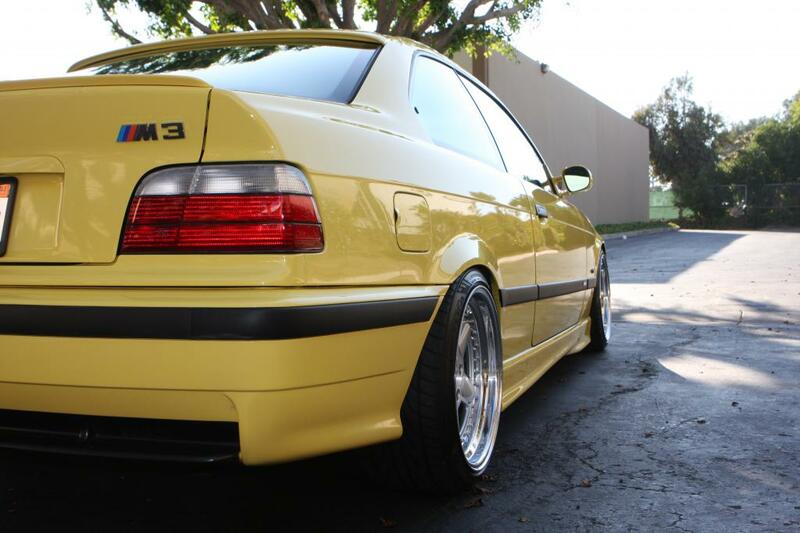 This 1997 BMW M3 is for sale in Tustin, CA for $15,000 via bimmerforums.com classifieds. The Dakar yellow paint looks good and the interior is in nice shape, always pluses for E36 market, but 86k miles is certainly a good thing. Haggle down the seller on price, lose the coilovers and gaudy wheels and this thing would be a great weekend driver. Stance...er...some folks like it, but I'm getting too old for a car that scrapes speed bumps and needs new tires every 5k miles.